The Editor's Weblog: MOUSE. MOUSE. MOUSE. 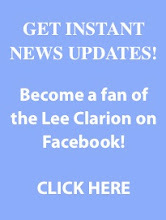 Remember my post that I wrote just a few short days ago, comparing TWT to the Lee Clarion? I have another reason... THERE'S A MOUSE UNDER MY DESK. Well, a least I hope he's still there, because if he's not there still, that means he's gotten brave and ran somewhere else. But the one thing I can be sure of, is that there is a mouse (at least one) in this newsroom. It's not even like a cute little cartoon mouse that you see in Disney's Cinderella, but a big mouse, a rat, a rodent, something of the sort with four creepy little feet and creepy little whiskers. It's gross. 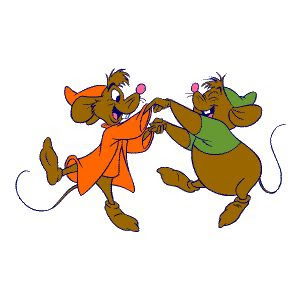 I know the picture may seem a little far fetched, but those are the Cinderella mice; they are cute. This mouse is not. It's ugly. I would have taken a picture of him, but I've been sitting on TOP of my desk so I won't be able to see him if he decides to make another surprise appearance. The fear of putting my feet back on the ground is enough to get to me.